Hello again to anyone out there who still visits this site and my very heartfelt best wishes to the world in general. MERRY CHRISTMAS to everyone and my wishes for a HAPPY FESTIVE SEASON to all people regardless of religious persuasions. May the politicians and the people of the world find some sanity and peace in 2016. I have not contributed an article here since May this year and the reason has simply been that I had nothing to report, I am doing OK for the moment. I am not a doctor and lack certain mental understanding of things medical, to gather technical stuff together to present here on this site. Besides there is a ton of technical information available on cancer, treatments and drugs that are presented by others more qualified than I. At the very beginning of my illness I went seeking articles on the human personal side of cancer diagnosis and treatment. I found this site established by Greg and eventually was able to contribute articles myself. Greg wrote about his illness, treatments, mental anguish, treatment discoveries, general ups and downs from week to week. 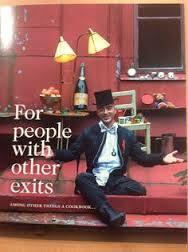 He also unveiled his personal life, family history and his private philosophy on life in general. The information Greg presented is still relevant today for those seeking a personal perspective on the effects of chronic illness. Like Greg, I also tried to write on a personal level describing my personal experiences with dealing with this cancer, however I did try to include other areas of interest that I thought might appeal to readers. Cancer diagnosis and grading….. Treatment and decision making…….Cancer screening and primary treatments…….Effects of surgery, Radiation, Androgen Deprivation Therapy, Chemotherapy….Other alternative treatments…. Advances in treatments and research… Cancer progression……. 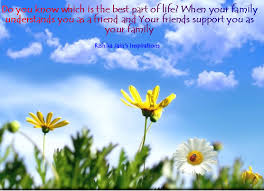 The carers role….End of life preparations…….Palliative and Hospice Care….Cancer statistics…… Depression, suicide and Euthanasia…….Personal experiences with treatments when a primary treatment goes wrong…..A personal view of the meaning of life, the creator or god. Since my life saving surgery in November 2014 there has not been too much else happening in my cancer world. I remain in remission for the moment, although my last PSA results showed a small increase. This increase in PSA was not significant enough to draw a conclusion, so my doctor and I are awaiting my next PSA result due in a couple of weeks. The result from this will determine if my cancer is still active somewhere or if I remain in remission. If the cancer has begun to progress my only option in that case will be to return to ADT treatment and then continue to monitor the PSA with further treatment decisions to be made along the path. So until things become clearer for me or change dramatically, or I find an interesting subject to report here for readers, I will bid every-one goodbye for now and hope to return sometime in 2016. The first blast of winter has reached my little tropical hideaway part of the world. There is a massive high pressure system south of the Great Australian Bight directing Antarctic winds right up the east coast of Australia. Night time temperatures have dropped below 10 degrees celsius with day time temps below 25 deg. It may not sound like a big deal to my southern neighbours but living in temperatures that average minimums of 25 deg to maximums of 35 degrees for nine months of the year it becomes a shock with the first winter blast in this part of the country. At least the butterfly swarms are still passing by my verandah but I am guessing that this cold dry change will knock them back a bit for this year. Between March and May every year I can sit daily on my verandah and watch the procession of these beautiful creatures as they travel from the south in a northerly direction. I have even seen these swarms over the ocean 100 kilometers from land. Where they come from and where they are going I have no idea. They just happen here every year with the main type being the “blue tiger” but also many other species of all colours and sizes can be mixed with them. Watching them the other day reminded me of an old metaphor called “The Butterfly Effect.” This was a theory exploring the concept of a small thing happening on one side of the planet (such as the flapping of a butterfly wing) can cause an immense reaction in one form or another on the other side of the world. It was part of a theory called the “Chaos Theory” and was generally attributed to calamities, however I believe in “Yin and Yan,” so the theory in my opinion should apply equally between good and bad. One thing cancer has taught me, is to look at life more deeply and appreciate things in a more meaningful way, hence my fixation of my butterflies, their life cycle and the theory. Such a beautiful creature that evolves by unfolding itself from a lowly caterpillar after pupation. I like to believe the whole story offers hope that small actions can create massive changes for the good in this world. Mankind is still at the beginnings of meaningful good changes as witnessed by lifestyle differences. opportunities and other madness going on in the world; We are seriously out of balance. However the more developed countries involve themselves in the opportunity to continue to make advances in areas such as medical practices the more likely these advances will eventually filter throughout all the world. This then takes me to the subject I wish to offer readers in this article, regarding the advances made recently and where we are headed in the treatment of prostate cancer. So how has treatment for prostate cancer advanced over the past number of years? Before I begin I should quote the following statistic for my readers. The prostate cancer 5-year survival rate has improved from 59% in 1986 to above 92% today, and likewise for most types of cancer the 5-year survival rate has increased. This increased survival rate is due to improved medical practices, the introduction of new drugs and/or the treatment methods and successful research outcomes. In the case of prostate cancer, over 3300 men will die of this disease this year, even though it is still thought of as a slow-growing old mans disease. The truth is, that early low-grade prostate cancer is indeed slow to promulgate but there are high-grade aggressive varieties that are lethal, and indeed more younger men are now being diagnosed with this disease in their thirties and forties. While PSA monitoring and DRE procedure have been the main indicators for biopsy; Research is searching for other prostate cancer markers to use, and several exciting pathological trials are underway. Medical imaging has also expanded, with much advances in imaging from MRI, CT and PET scans, along with ultrasound technologies. Much of this future researching and improvements should bring huge benefits in assisting doctors to discern at diagnosis, between the non lethal and lethal types of prostate cancers. This then, should have a great impact in decisions regarding primary treatment for the patient. Improved imaging should enhance the ability to locate and direct biopsies and also to better detect metastasis to bone and other tissues. In the past few years there has been the introduction of new drugs such as Abiraterone Acetate (Zytiga) and Enzulutamide (Xtandi) which are advances in hormonal drugs offering greater survival rates, with less side effects. Sipuleucel T (Provenge) is an Immunotherapy drug and treatment, which stimulates the individual patients own immune system to attack cancer cells. Radium 233 (Xofigo) which is a radioactive type drug, used in the treatment of bone metastasis with prostate cancer. Much research continues to search for and identify the different individual characteristics of prostate tumours. This may lead to drugs being available for specific types of tumours, and could lead to individual tailored drugs being used on a patient circumventing the need for current primary treatments of surgery and radiation. This could have profound effects in preventing major life changing side effects. There is much excitement and discoveries still to come in the medical world over the next decade, and I hope I am still alive to see much of it. 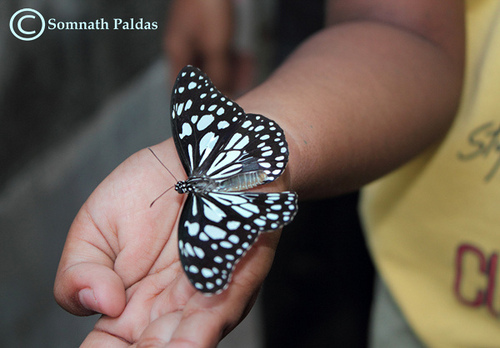 Meanwhile I will keep admiring my butterflies for the hope they offer for a better world to come. Is it Possible?????? Perhaps. I have been mentally calculating an audit lately of the personal health effects as a result from my prostate cancer and its treatments. It has become apparent to me, that the results of this audit may make for an interesting article for some readers. What follows is not intended as a “Poor Me” sympathetic seeking diatribe, but rather as a personal example of the domino effect that a cancer diagnosis can have on the health of a patient. I am sure that many long-term cancer patients would also see themselves, and their journey in the same way. My intention in this article is to highlight this issue so that fellow cancer patients, recognise that they are not alone, and to advise new cancer patients of the pitfalls that may await them on their path. Before I begin, I should point out that prior to the time of my cancer diagnosis, I thought I was a pretty fit soul. I visited and walked Kokoda in 2008 and 2009. I was an avid sailor, diver and fossicker up to my diagnosis, and my previous health apart from skin cancers had been marvellous. In July 2011 I was about to turn a fit and active 64 years of age in September, and I felt bullet proof…….Until late August. My cancer adventure began in late August 2011 when I experienced urinary problems that lead to my visit to the GP, and then for a PSA test and ultrasound. The results showed a PSA of 4.5 and an enlarged prostate that led to a diagnosis of BPH. (benign prostatic hypoplasia) I was given a prescription for pills to alleviate the urinary pain, and a future date in six months to repeat the tests. I didn’t quite make the six month period as the symptoms became much worse in January and February of 2012. In early March I had my first visit to the urologist, whose examination led to a biopsy; With the results confirming advanced aggressive prostate cancer that threw me into a spin mentally. I needed to make a choice of treatments available, and through some early research and medical advice decided on, Radiation and Androgen Deprivation Therapy as my primary treatments. I immediately received my first injection of the drug Eligard, that I was to receive every four months for the next two years, plus an oral anti androgen drug taken daily. On the other hand in order to begin my radiation treatments, I first had to attend to my urinary symptoms which involved a surgical procedure carried out in May called a TURP (rebore.) The TURP procedure alleviated the urinary restrictions, but also introduced a series of urinary tract infections that persisted until September 2012. Finally in October I was able to begin the radiation treatment. Various urinary symptoms, including some incontinence, and infection causing increased frequency, pain, chills and fever. Erectile dysfunction and loss of any sexual libido. Hot and cold flushes, constant mental and physical fatigue. Sleep disturbances and increasing joint stiffness and joint pain. All of the previous years health issues. A new diagnosis of Diabetes type II, which may or may not be attributed to the Androgen Deprivation Therapy but included diet modification and blood monitoring daily. A diagnosis of osteopenia, which is a precursor to osteoporosis or thinning of bone density. This may or may not be attributed to the Androgen Deprivation Therapy. Intermittent urinary bleeding had started late in the year. An instance of mental depression led to mental breakdown with considerations of suicide. This led to several sessions with a counsellor. Most of the previous two years issues still current. The ill-health and the effects from pain, and mental anguish from instances of urinary bleeding and blockages that required hospitalisations. Uncontrolled urinary incontinence from time to time. The immediate effects of the surgical procedures, and rehabilitation needed. The care and maintenance of the stoma, that was surgically created to replace the bladder function. Looking back over what I have presented here, seems to be pretty much just a summary of events that I have written about in other published articles. That may be the case, but I think it still represents a good example of cancer and the domino effect that cancer causes in a person’s life. When I think about the domino effect, I wonder just how accurate are the mortality rates given for cancer by the statisticians. Could it be that the cause of death in some instances, attributed to conditions other than cancer, be actually a bi-product of the cancer domino effect????? As an example, prior to my surgery in November 2014, I was critically ill with blood loss and urine retention. My doctor at the time, agrees that without surgical intervention I would have died from blood loss by Christmas 2014. If that had been the case, would my death have been registered in statistics as being from my prostate cancer, or from blood loss and urinary retention????? The world of cancer can really kick you in the teeth at times, the trick is to be able to bounce back and move forward but sometimes it is more difficult to rise and come up smiling when it belts you below the belt. The following story is of events that have overtaken a married couple who are close friends of my wife and I. It took me some time to choose to publish these events as it is such an overwhelming personal ordeal they are dealing with. I wrestled with my thoughts on the moral justification in making their ordeal public and now I have done so in the hope others may be inspired by their story. In the following events I have used the names of Jack and Jill to protect their privacy and as I write I am still wondering at times if all this is not just a bad dream. Jack and Jill are now in their late sixties. A few years ago Jill was diagnosed with bowel cancer and was at the time successfully treated with surgery, radiation and chemotherapy. A short time after Jill’s cancer treatment Jacks brother was also diagnosed with bowel cancer and he was also treated successfully with surgery, radiation and chemotherapy. With all the health and medical issues that had suddenly descended on them Jack and Jill decided to retire, buy a caravan and join the grey nomads touring Australia. About the time they bought the van Jack fell off a trestle and broke his leg, down toward the ankle so the grand Australian tour departure was put on hold until his leg healed. Eventually they got underway but just a couple of thousand kilometers into their trip Jack and Jill found themselves stuck in Townsville as Jack had developed an infection in the bone where he had originally broken the leg. Townsville is where my wife and I met this pair and we became firm friends. Jacks infection was such that the leg was invaded by a medical steel structure from knee to ankle with rods descending into the leg at various places to deliver the antibiotics needed to the bone. Jack also was treated in the hyperbaric chamber for two months to try to assist the healing. Jack endured nearly twelve months of treatments to try to beat the bone infection without success. Late last year the medical specialists and Jack started discussing amputation of the leg as the final solution and while these discussions were going on Jack had a colonoscopy which led to biopsies and he was then also diagnosed with bowel cancer. Now Jack and the surgeons had two problems to deal with and a decision was made to have both the amputation of the leg plus the bowel resection done at the same time (a 12 hour operation.) Both of these procedures were completed early in March and Jack is doing OK. He faces a lengthy rehabilitation period for his leg and prosthesis followed by perhaps radiation and extensive chemotherapy for the cancer. The cruncher to all this came to a head recently when Jill revealed that she had been re-diagnosed with the return of her bowel cancer which had now spread extensively to her liver. The doctors informed her it was incurable and terminal, she could only expect her time left to be between 12 and 14 months. Now Jill had been informed of this some time ago but decided to keep it to herself until Jack had gone through his ordeal. That last sentence says more about the love and respect that one human can hold for a loved one than any explanation I could give. They have offered Jill some strong chemotherapy, not as a cure but to help prolong life long enough for both of them to return to their home once Jack is stabilised. I shake my head with despair for my friends and wonder how these sort of events can overtake good peoples lives. I offer the following verse I composed for them and anyone else out there who might find some comfort in these words. It was inspired by the words of Gordon Lightfoots haunting ballad called “The Wreck of the Edmund Fitzgerald” The lead line has haunted me for years “Does anyone know where the love of God goes when the waves turn the minutes to hours ?” Somehow the haunting returned and I built on it in my own words as the timing seemed just right for my friends. Does anyone know where the love of God goes when a cancer turns your time left to hours? In the dark and despair only faith can repair, what the verdict of cancer has soured. But his love is still there in the fond memories we share, with the love-ones we see that surround us. Those moments are there when the laughter rang out and the hugs and the kisses were about us. The hard times and fears, the regrets and the tears, have been dealt with and left far behind us. So does anyone know where the love of God goes? Well I think the answers not hidden. Seek deep in your soul among your memories there and give thanks to what he has given. I am about to enter into the conspiracy view of a subject that has some rational common sense. This is not to say that I am a believer in this conspiracy theory on cancer cure but it is an issue I thought worth presenting here for my readers. During periods of my life when in a philosophical frame of mind ( most times from the deck of a boat late at night while in a good anchorage) one of the questions I would pose to the universe from time to time was “What could exterminate the human race????? Apart from asteroid strike, comet collision or the sun disintegrating I thought about epidemic disease. The world has and continues to deal with many contagious outbreaks of disease in many forms Eg. Bubonic plague, Smallpox, Malaria and recently Ebola. I am now left wondering if the epidemic disease that deserves more attention as being the worlds largest threat is actually cancer in any of its forms. Thinking about what I have just written above, raises Some other big questions that need to be answered, such as: “Is the incidence of cancer increasing in the world,” “What is causing any cancer increases” and “Can cancer be cured”??? Well, according to the World Health Organisation, the incidence of cancer is expected to increase by 70% within the next two decades. That means there will be an increase from 14 million new cases in 2012 to 25 million new cases per year by 2032. The scope of that statistic is amazing if you consider it is the equivalent of Australia’s current population, every man, woman and child being diagnosed with cancer every year. 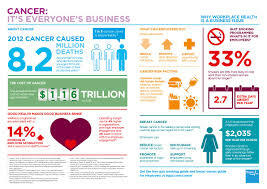 Over the same period of time cancer mortality rates world-wide are expected to increase from 8 million in 2012 to 13 million deaths per year. The causes of the increase in cancer diagnosis is subject to speculative arguments but does correlate to the massive changes in living standards for the majority of rich countries over the past 100 years. The increase in the consumption of red meat, industrialisation and rise in air pollution, the discovery and manufacturing of chemicals used in everyday cleaning and many more influences that found their way into our modern-day way of life. The increase in life expectancy is also a reason given for the increase in cancer rates. The statistics tell us that by the age of 85, 1 in two men and 1 in three women will have experienced a cancer diagnosis during their lifetime. While medical establishments and governments continue to advise the public that a search for the cure for cancer continues, the cure remains as elusive as ever. What the medical and pharmaceutical establishments have been very succesful at; Is in the overall management of cancer treatment including improved screening methods. Advances in the initial primary treatments of surgery, radiation and chemotherapy have been amazing as has the success of new cancer drugs developed. 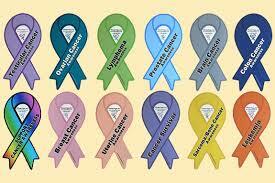 As a result of these advances the 5 and 10 year survival rate for cancer patients has increased dramatically. This then brings us to the key issue of this article and the question “Can cancer be cured” ????? Well now, this statement raises a whole lot of other assumptions because if you look at cancer treatment worldwide from a business point of view, you will soon realise it is worth an under-estimated trillion dollars annually and is also a growth industry. The conspiracy theorists could be forgiven for asking the question in this way “ Why would a trillion-dollar a year growth industry want to find a cure and close itself down”??????? My personal view is that with advances in screening recently and those expected in the future, most early cancers can be cured successfully. I have a belief that new types of cancers will appear as time goes by as a consequence of lifestyle changes affecting our lives in the future. Generally I feel that sadly, cancer will be with us for many years to come. Here I sit three months after my radical surgery that has given me a new lease on life and I feel healthier than I have been for the past three years. The surgery has also left me a legacy of dealing with a stoma and the new physical disciplines and mental attitudes associated with my new plumbing arrangements. Very basically there are two types either a colostomy (bowel) or urostomy (urine) both of which utilise a bag or pouch placed over a stoma to collect waste and changed out frequently. Ostomy surgeries are usually performed for a variety of medical reasons such as endometriosis, crohns disease or cancer. The surgical formation of a stoma can save a patient’s life and provide a near normal quality of life than would otherwise be the case. At the time of my surgery there was a chance that I might have had both types of stoma’s installed as it was unclear if the surgery might damage the bowel as well. However luck was with me and the surgeon when all went well and I received the urostomy stoma only. A whole new experience opens up for patients receiving a stoma. First and foremost is the arrival into your life of the stoma nurse who is a trained specialist nurse. The stoma nurse is responsible for educating the patients on stoma care and hygiene. The nurse is also responsible for training the patient in the use of equipment necessary to apply to stoma’s. The stoma nurse is also the first point of contact to whom the patient will report to on a regular basis. The patient will find themselves members of the Australian Ostomy Association which allows them access to a free monthly allocations of bags, pouches or other equipment, but postage costs do apply. The association also publishes a magazine on a regular basis with much valuable information for patients. I have settled into a routine easily enough and am truly grateful for the good health I now feel. 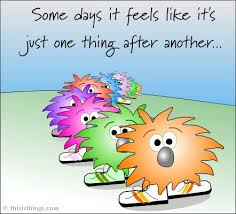 I still haven’t got back my strength fully and some days are better than others but overall I feel almost normal. I will never be able to say I believe my cancer is gone for good, but my PSA is now undetectable and I know that at least all the cancer that was known to be still active has been removed. 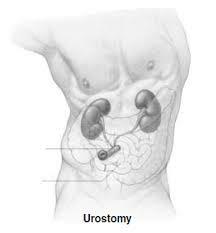 Still, there are some issues with having the urostomy that I need to explain for readers. Since my urine is now flowing via a conduit through my abdomen (just to the right of the navel) into a collection bag it can be subject to leaks. Leaks occur without warning when seals or base plates degrade, fold up or let go. I have trialled different types with and without seals and have finally settled on what I consider the most reliable. This apparatus normally will give me two days and nights (with daily bag changes) without failure. The bags normally need draining approx every couple of hours or when about a third full and is a simple procedure of turning on the tap over a toilet bowel. For night-time I hook my bag up to a larger night bag and this is emptied and cleaned each morning. From time to time I have experienced leaks with the worst case being a leak during the night from either the stoma fitting or a night bag leak. I have tried to pre-empt these disasters by using a waterproof blanket under my bed-sheet and a tray under the night bag. Still accidents will happen and I have to deal with them and the clean ups as they occur. Leakages that happen while out and about are dealt with by a bag that I carry with a change of clothes plus equipment to change on the stoma. Even though a leak event is fairly uncommon it is still a mental issue for me and affects where and when I go anywhere and what I take with me. I now tend not to travel if accommodation is a factor and when I do travel, I prefer to be in my own car with all the equipment I need. Heading into the city on business is controlled by my knowledge of the location of public toilets and preferably the handicapped ones. As I have often said before cancer is as much about the effects of cancer treatments for patients apart from the effects of the cancer itself. 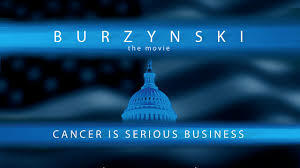 Cancer is a catalyst for all sorts of a domino fiasco’s introducing all sorts of impacts on a patients life. My pathway to where I am today is testament to what I have just said, however I would like to say that I am extremely grateful to be still here. Medical opinion was in agreement that my used-by date was approx last christmas if the surgery had not taken place. Learning to cope physically and mentally with my latest hurdle is a small price to pay for the extension of my used-by date especially when I feel as well as I do at the moment. Welcome back for the year 2015. I hope everyone enjoyed the festivities and I sincerely hope that the new year will bring health, prosperity and peace to the world. 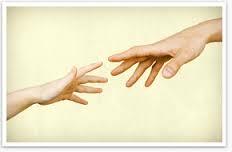 In this article I have decided to write about a subject dealing with spirituality. I have been inspired to do this by an event that happened accidentally toward the end of my treatment for the gross hematuria I was experiencing. When I was at my spiritual lowest point during my illness, full of despair and accepting that I could be reaching the end of my life, a friend came to me and suggested the following idea. My friend suggested I create a “God Box.” The idea being that I acquire a small box of some type where I could write down on little slips of paper all my fears, anxieties, problems or prayers and deposit them into the box for God to look after. 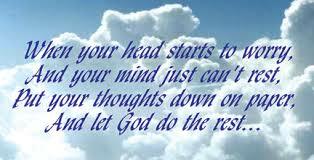 Once these fears were deposited I could then just let go of them knowing they were in the hands of a higher authority. I began depositing my little slips of paper containing my fears just weeks prior to the investigations that revealed the full extent of my serious condition and the surgical suggestion that could (and has done) saved my life. It was during this period that a volunteer chaplain visited me in hospital and seeing the “God Box” at the head of my bed asked me about it. After I told my story she was amazed and delighted and then commented by asking if I included any “Thank You” notes among the little pieces of paper I was depositing. It was then that I realised with embarrassment that my little notes were all one way with no such words of gratitude given by me, I fixed this issue straight away. 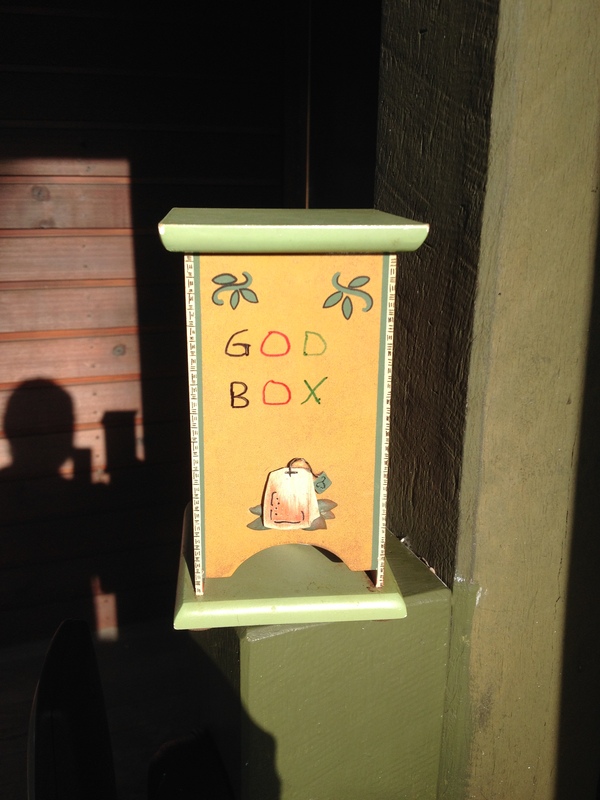 Readers can choose what they say or think about my story here but I can say for myself that my “God Box” came about as a suggestion from a friend during a dark period of my illness. This little box changed my life at the time and continues to do so. It gave me great comfort and hope while easing the fears, the stress and despondency I was feeling. From the time I accepted the concept of my little box and proceeded to deposit my little notes, my health outlook took a turn for the better. I believe that little box entered my life at just the right time and brought about changes that resulted in my successful surgery. It also reinvigorated my spiritual awareness.